The Teaching of Omraam Mikhaël Aïvanhov is based on a deep knowledge of the human being and his or her place in the universe, with an emphasis on the intuition of the heart and simplicity over superficial intellectual knowledge. Aware of the demands of working on oneself, he never stopped encouraging his disciples, inciting them to continue along the spiritual path leading to inner unity. What mattered to him was what has been lived and experienced personally. He liked to say with regard to this that we can only know all aspects of an orange by tasting it, not by analysing it. 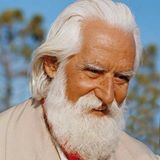 His Teaching is universal, and the many methods he gave are increasingly relevant to the problems posed by the conditions of modern life. His constant preoccupation was always to be useful, to help people find in themselves the forces placed there by the Creator and so be able to participate in the realization of a united global family, where each person is a citizen of the universe, a son or daughter of the same cosmic principle. In this way, the Teaching invites all human beings throughout the whole world, regardless of skin colour, nationality, religion or race, to achieve a life of dignity, for the good of all and of each individual. 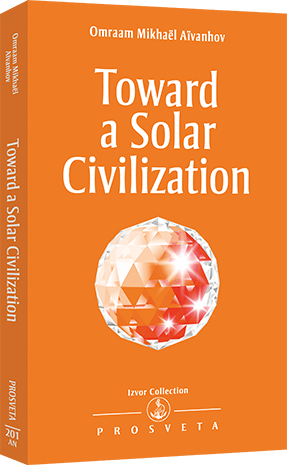 Omraam Mikhaël Aïvanhov described the emergence of a new consciousness as being like the image of the sun, which distributes its light, warmth and life to all beings. A central theme found in his Teaching is the desire to help us rediscover our own spiritual dimension while, at the same time, fulfilling our role in the world. All publications by Prosveta carry a similar message.